No fewer than five persons from Ngbo in Ohaukwu local government area of Ebonyi State were on Wednesday allegedly killed by gunmen suspected to be from Agila community of Benue State. The victims were reportedly killed following the renewed boundary crisis that ensued between the two states, which according to investigation has lasted for over forty years. 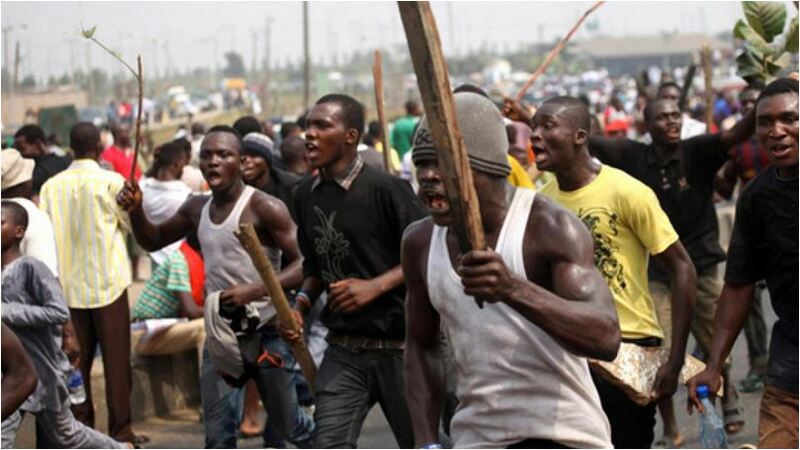 It was gathered that some persons in the affected Ngbo community have stated fleeing the area for fear of further attack. However, the Commissioner of Police, Musa Kimo who visited the scene, said everything had been brought under control. He called on the people of the area to remain calm and go about their lawful businesses. Responding, the governor of Ebonyi State Chief David Umahi, who also visited the families of the affected persons at Ekwashi and Ukwagba communities, expressed shock over the killings. Umahi, represented by the Deputy Governor,, Dr Kelechi Igwe further expressed dismay over what he called flagrant disregard to agreement by the Agila people. He observed that Ebonyi people had suffered incessant attacks from the Agilla people in the recent times, and called on the federal government to intervene before the people would resort to self defence. Umahi appealed to the people to remain calm and be law abiding, assuring that government would ensure permanent resolution of the crisis. Also speaking, the chairman of the affected Ohaukwu Local Government Area, Barr Clement Odaah alleged that Benue people invaded the people of Ngbo despite peace agreement signed with Ado Local Government council few weeks ago. He lamented that the incessant attacks by Agilla people were getting out of hand, just as he called on the governor of Benue State to call Agila people to order.